The distance between the National Arts Club in New York City and Axel's Gallery & Frameshop in Waterbury is closer than you might think, at least by way of Middlesex painter August Burns. 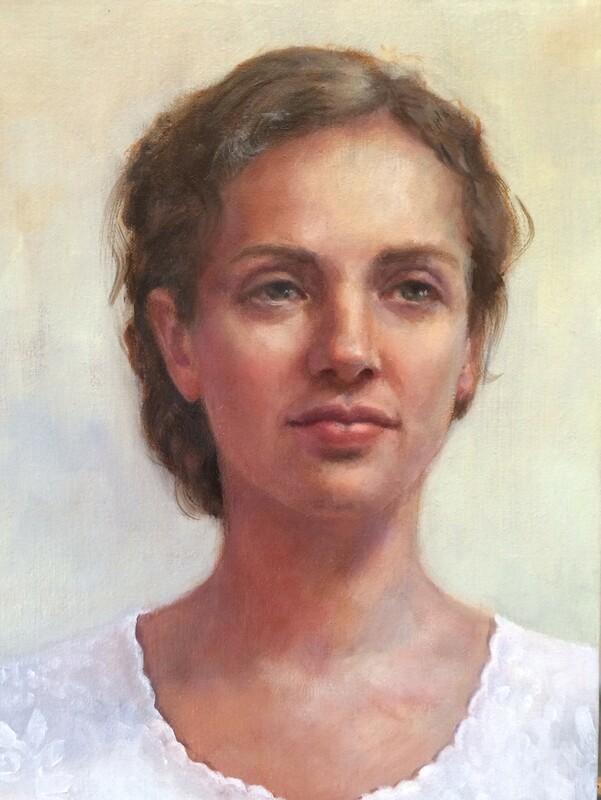 The artist's portrait "Emma," which was included in Burns' solo show at Axel's, is now on its way to a competitive group show of women artists working in the U.S., Canada and Europe: the Catharine Lorillard Wolfe Art Club's 119th Annual Open Juried Exhibition, on view December 1-18. "They had an unprecedented number of qualified entries this year," says Burns, "so I was especially pleased to be accepted." For an artist who has dedicated much of her life to women's well being, this is a fitting honor — the Wolfe Club, founded in 1896, is one of the oldest women's art clubs in the country. Wolfe was the sole woman of the 106 founding members of the Metropolitan Museum of Art. Originally the club was formed "to provide aid and counsel to women art students who found life in New York a struggle," but in the 1950s it shifted gears to "serving women artists of professional standing throughout the United States." Burns studied art as a young woman but pursued a career in international development and women's health care, a choice she attributes to the art world's predominant interest in abstract expressionism, which has been considered a primarily male movement. In the past decade, Burns has taken up her artistic practice again, and "Emma" is a painting that fuses Burns' life works. Its subject, Emma Yorra, grew up in Plainfield, Vt., and was mentored by Burns, who helped her secure a position abroad during her gap year. Now 30,Yorra is co-director at the Center for Family Life in Sunset Park, Brooklyn. The painting was commissioned by Yorra's parents and completed in September. Yorra will join Burns at the exhibition opening. As for the predilections of the art world, Burns notes a shift: "There's a huge revival of incredible realist art happening worldwide," she says. And what does she attribute this to? "I think fatigue with not understanding art," Burns says. "I think a lot of what happened in the art world was deconstruction of old values ... [classical training] was lost in art schools over the past 30 or 40 years. And that's being revived now." The Wolfe Art Club show focuses specifically on two-dimensional works, with an emphasis on portraiture and landscape, as well as sculpture "light enough for one person to handle." Giclées (computer prints), photography, digital imagery and craft were not considered. While "Emma" is on her way to New York City, Vermonters can still see approximately 35 new works at Burns' solo show at Axel's, which comes down November 21.